NOTE: Our software is compatible with iOS 11. We can not and do not guarantee it will be compatible with any future Apple™ iOS releases. Determinations for possible future compatibility can only be made at the time specifications for new IOS versions are made public. Software to assist professionals and students in Applied Behavior Analysis (ABA), special education, school psychology, and clinical psychology, as well as researchers conducting observational studies. Please leave your contact info under Contact Us so that we may advise you of updates and the release of future tools for behavior analysis. Your contact information will not be shared with any group, sales office, or organization. It will only be used to advise you of product availability and updates by CBTAonline. 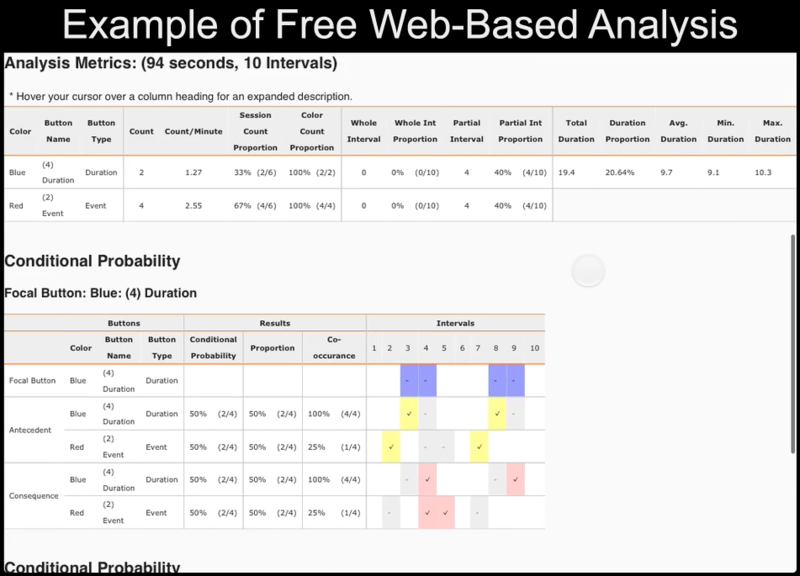 Vivo Analytics uses web-based analysis tools, which are free. Easily compare observations and select parameters to calculate both event and interval based IOA. In interval mode, Cohen's Kappa is calculated in addition to the traditional Agreements divided by Agreements and Disagreements. Further, errors of omission and errors of comission are highlighted in a display of the data stream to enhance error resolution and speed training of observers in achieving reliability. The literature presents several different arguments about calculating conditional probabilities. Our analysis tool therefore calculates conditional probability, proportion probability, and co-occurnece probability. Quantitative presentation of count, duration, interval, and proportion. User friendly tabular format. Vivo Trainer for iPad now available! This is the most advanced of our apps. 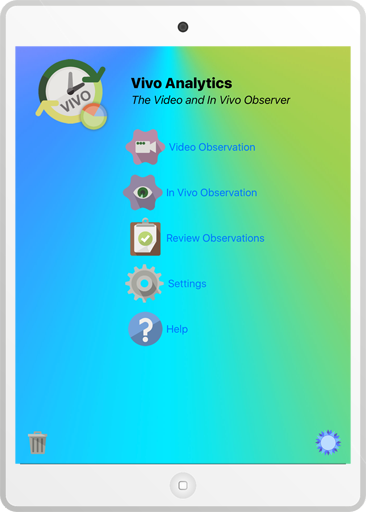 It is an elegant app to analyze video as well as perform in vivo observations. Please download the FREE Vivo Trainer before purchasing Vivo Analytics. Vivo Trainer is fully functional to collect observations and train users. It allows you to assess it's capabilities and our free web analysis tools and determine if Vivo Analytics will be cost effective for you. Please read the information here carefully to determine if our apps are applicable to your needs BEFORE purchasing.